There are no theatres in Nagaraju’s village. But he caught his favourite Telugu movies and the occasional Hindi film on television and disc players. Nagaraju hails from Parakaturu, a remote village in the Mahbubnagar district of Andhra Pradesh. The son of a farmer, he says he never dreamt he would ever visit the exotic locales he saw in these films. “We were too poor,” he says. Later, in Hyderabad, he saw movies on the multiplex screen that brought them to life almost as if he was seeing them: snow-capped mountains and deep wooded valleys that took his breath away. But he still never thought that he would visit such places. Last November, along with 12 other schoolchildren, 17-year-old Nagaraju scaled Mount Renock, 17,000 feet above sea level in the Kanchenjunga range of the Himalayas. All the members of the expedition were 17 or below, some as young as 14. They came from various parts of Andhra Pradesh, mostly from villages as remote as Nagaraju’s. All study at free residential schools run by the Andhra Pradesh government for students from disadvantaged sections of society. As the group set off from the Himalayan Mountaineering Institute in Darjeeling—where they received a month’s training—and began their long climb, Nagaraju saw valleys, woods and peaks which he says were “just like those in the films”. Darjeeling, he says, is the most beautiful place in the world. Once they reached the snowline, the boys and girls jumped and shouted for joy, rolled around and threw snow at each other; all training forgotten. It was the first time any of them had seen snow. “The happiness of seeing and touching snow for the first time was unforgettable,” says Roja, a 17-year-old girl from Shamshabad, near Hyderabad, who was also part of the team. A year ago, Roja did not know a sport called mountaineering existed. However, when the Society which runs the schools announced that a select group of 120 students would be trained in rock climbing and mountaineering, she volunteered at once. Twenty—Roja and Nagaraju included—went on to the Himalayan Institute in Darjeeling for a more advanced course. The 13 who passed the course went on the Kanchenjunga expedition guided by three qualified mountaineers. Back in Hyderabad, the group continues training. The next destination is over 20,000 feet, a peak on the India-China border. The third and final expedition would be an extremely ambitious one: six students—three boys and three girls—will attempt to conquer Mount Everest; if they succeed, they will become the youngest group to do so. The society has 289 residential schools. The majority (75 per cent) of its 1,70,000 students belong to the Scheduled Castes, followed by converted Christians, Scheduled Tribes, Backward Castes and Other Castes. The team came back home celebrities. They were interviewed by newspapers and appeared on television shows. “I never thought I would see myself on TV like film stars and celebrities,” says Nagaraju. Parents who had initially been reluctant to send their girls on the expedition turned around completely, boasting about their children’s achievements to admiring neighbours and relatives. Friends said watching them on TV had made them feel proud to belong to the Society’s schools. “The greatest motivation was to prove that we Society students are capable of achieving something extraordinary. To show to the world that we are not backward or less than others. That is why I hope we will go on to climb Everest,” says Roja. efore June 2012, almost none of the students who went on the expedition knew anything about the parent organisation that ran their schools. Except for the lengthy name—the Andhra Pradesh Social Welfare Residential Educational Institutions Society (APSWREIS) —students say they had little idea about the Society’s officials, how many schools there were, or where. School was a dreary affair; teachers confined themselves to solving expected questions for exams and students learned by rote. Their future after leaving school looked indifferent; in any case they were not encouraged to think about it. All that changed with unexpected rapidity when the Society introduced a series of ambitious reforms last academic year. Christened the P5 programme, it was intended to overhaul the way the schools were run, improve the quality of education, and to give the students a shot at life. The APSWREIS was created by the Andhra Pradesh government in 1987 for free education for students from the disadvantaged sections. The society has 289 residential schools throughout the state and the majority (75 per cent) of its 1,70,000 students belong to the Scheduled Castes (SCs), followed by converted Christians, Scheduled Tribes (STs), Backward Castes (BCs) and Other Castes (OCs). There is a significant percentage of first-generation learners. Many come from broken homes or backgrounds of extreme poverty. Some are orphans from state-run orphanages; many are rescued child labourers. While the Society did reasonably well in the initial decade of its formation, academic quality started to dip in the early Nineties, say teachers working there. This roughly coincided with the full-scale migration to private schools of students who could afford higher fees and an overall decline in the public education system. In the first year of the P5 programme, the society registered a remarkable up-turn in its intermediate public exam results. It increased over 10 per cent to 84.78. The general state average was 65.36. Tenth standard students who took the exams in 2013 had a pass percentage of 94.25 per cent when the general pass percentage in the state was 88 per cent. Praveen Kumar sits hunched over an Apple MacBook. 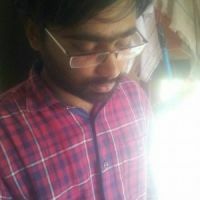 In his grey T-shirt and glasses, he looks more like a middle-aged techie from Hyderabad’s silicon establishment than a member of the Indian Police Service. He took charge as secretary of APWREIS in June 2012. The P5 programme is his brainchild. Kumar’s father was a poor labourer in Kurnool in coastal Andhra. His mother was a first-generation learner who seemed destined to be an agricultural labourer, but the kindly intervention of a couple of convent teachers changed her life. She was put in a Christian missionary school and became a schoolteacher herself. Kumar grew up with a sense of what a teacher can do for those at the margins of society. His mother’s life was the best example. Later, as a veterinary student in a government-run hostel, he came across many students from backgrounds similar to his who could not make it and threw away their opportunities. Kumar reflects on the difference between him and them. The schools were English medium only in name. Most teachers could not communicate in English. “They were all first-generation learners. When they went back home, they lacked a role model. My mother being a teacher made all the difference for me. I saw the fruits of education for the poor,” he says. Prasad’s way of giving back was reforming the government’s residential schools for poor and marginalised students. When he returned to India after studying public administration at Harvard University on deputation from the government, he asked to be assigned to APWREIS. He expected the going to be tough, but armed with what he had learned at Harvard, he felt he could introduce innovations that would make the system work. He started visiting the schools unannounced and observing classes. “The first time we saw Secretary sir, he just slipped into the class and sat at the back. We had no idea who he was. 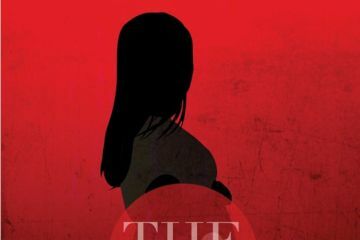 He came several times and usually just sat there,” says Pallavi, a 12th standard student at a residential school for girls in Hyderabad. Kumar may not have said much in the classroom, but what he observed staggered him. Kumar realised that he had a daunting task in front of him. The first thing he did was to commission an internal survey of the conditions in various schools. A survey of 40 residential schools in Adilabad, Chittoor and Srikakulam districts confirmed what Kumar had observed for himself. If he wanted his plans for improving education in the schools to succeed, he would have to start with the teachers. APWREIS signed a Memorandum of Understanding (MoU) with the English and Foreign Languages University (EFLU) to train the English teachers. A two-day training camp was conducted in all district headquarters. “The camp was useful. We learnt to correct many mistakes, how to communicate, and also how to train our colleagues,” says Thomas Reddy, an English teacher at the Shaikpet boys’ residential school in Hyderabad. Teachers like Reddy who attended the training camp then held similar camps for their peers who taught other subjects. But Kumar was not satisfied. He had hoped that the camps would train teachers to jump-start class participation from students, but it did not work that way. While teachers had started to use English as a medium of instruction, students continued to be passive listeners to instructions. By the time quarterly exams approached, Kumar was getting frustrated. He realised that he had to find another way. He started calling up people he knew and asking them to connect him up with spoken English experts. The city editor of a newspaper put Kumar in touch with two software professionals in Hyderabad who conducted spoken English workshops. The techies came up with the concept of a discussion club to help students speak English and learn classroom participation. It was the game changer. They called it the e-club. “At first, students were so shy to speak in public that we closed the doors and windows of the classrooms so that they would feel less intimidated,” says Kumar. The students were given topics that they could relate to in their lives. “We asked students to speak on things like what they saw when they went to coolie work with their parents. We give general topics and local schools can innovate around them,” Kumar says. The teachers were taught to welcome mistakes so that students were encouraged to speak in English. The idea was to let students get comfortable with placing words together in a sentence. Mistakes would be corrected during classroom instructions. Every day, half an hour in the evening was marked off for e-club discussions in each class. The results were dramatic. In a couple of months, in many of the schools, more than half the children in any given class had formed the habit of speaking in English. As the academic year progressed, the medium of instruction in the classrooms started gradually shifting to English. umar’s time at Harvard had changed his ideas about how children learn. His own children had gone to school in Massachusetts and the biggest difference from Indian schools was the roles the teachers played. “I did not want teachers spending too much time on the blackboards. I wanted them to discard monologues and encourage children to participate in class discussions. Instead of monotonous teacher-centric instruction, the burden of teaching has to be shared with the students. We need to create an atmosphere of collaborative peer and self-learning if education is to be effective,” he says. Kumar organised crash training camps for teachers in each district headquarters. The first camps were two-day affairs, while the later ones were held over a week. Classes were held by psychologists, educators and English language trainers. Telugu pundits fluent in English made presentations on how they picked up a foreign tongue, to motivate those who doubted they could pick up the language so late. There were also interactive sessions where students gave input on what was going wrong in the classrooms and how to change it. “Most parents would be glad if their children do well. My father is the opposite,” says Pallavi. Pallavi is the child of a broken home. Her parents’ life together started as a Telugu movie romance, but ended on a more familiar note. Pallavi’s mother is from Visakhapatnam, and met her future husband while still in school. They married when she was 17. Her husband, who was from Telangana, was a day labourer who had dropped out of school after failing in tenth standard. But he allowed her to enrol in college and complete graduation. According to Pallavi, education was the fault-line along which her family crumbled. Pallavi and her younger sister were the only children in her extended family to get good marks in schools. After she passed her fifth standard examinations, her father informed her that she would no longer go to school. She should stay at home and help with household work. No argument would change his mind. “So one night when my father was sleeping, my mother, sister and I stole out of the house. We took an auto rickshaw to my grandmother’s house, which is located in another part ofHyderabad. My father turned up the next day. He was very angry and made a big scene, demanding that we go back with him,” she says. But Pallavi’s mother stood her ground: they would stay back and the children would go to school. Pallavi and her sister enrolled in the APWREIS school for girls in Mahendragiri, Hyderabad. Pallavi had never stayed in a residential school before, but she soon made friends. The teachers were mostly friendly but the academics were abysmal. The students learned by rote and were encouraged to merely reproduce what was taught in class. The school did not have cultural programmes, sports or extracurricular activities. But when she entered her first year of intermediate, things changed. And very rapidly. The first major change was the daily e-clubs where the whole class participated in informal discussions. She watched as her friends slowly picked up the confidence to talk in English. As the academic year progressed, teachers switched over from guides to textbooks. Classrooms were now devoted to explaining lessons. Science teachers used the Internet and multimedia to illustrate difficult concepts. In the evenings, student discussion groups thrashed out topics taught in class. They have martial arts classes twice every week. This year, two eighth standard girls went on a kayaking camp. Some went rock climbing and one of them joined the Kanchenjunga expedition. Each subject had two teaching assistants (TA) selected from class toppers, like Pallavi. “Students come and ask us doubts that they are often shy to ask the teachers. This is especially a great help for students who come from Telugu medium schools and have difficulty with English. Since we share the same hostels, they can clear doubts at any time,” she says. Some girls attended a summer camp run by an NGO named Voice For Girls. They were trained to identify and counsel fellow students who might be facing issues of demotivation, stress or depression. mprovement in infrastructure was enabled by a massive increase in budgetary allocation to the Society. It has more than doubled in the last two years. While the government allotted ₹434 crore to the Society in 2011-12, in the present financial year, it has been hiked to ₹946 crore. To maintain and improve school campuses and make sure the money is actually spent by the authorities, Praveen Kumar got the students involved. They can volunteer as campus curators and will be assigned parts of the campus to monitor. They submit weekly maintenance reports to the principals, reporting shortcomings or giving suggestions. The principals are bound to act on them. “The buildings have been renovated and the campus has got greener. We also had a drive to make buildings more cheerful. We were all handed cans of paint and a painter showed us how to paint murals on the walls. We had great fun,” she says. They now have martial arts classes twice every week. Some students got the chance to do more exciting stuff. This year, two eighth standard girls went on a kayaking camp organised by the society. Some went rock climbing and one of them joined the Kanchenjunga expedition. With the help of an engineering student, Pallavi and her friends constructed a robot that could pick up objects from a line and place them at a designated spot. Mana TV is an educational channel for government schools run by the state. Before 2012, only some schools in the Society could access it. Now it extends to all 291 schools. Programmes exclusively produced by the Society started to become regular features on Mana TV. The Society also started a monthly journal for the students. The idea was not only to provide them with a platform for expressing ideas, but also to foster a sense of community and an identity they could call their own. “I did not know much about the Society. I knew there were many schools but not how many. But all that changed with the new Secretary. In the first issue of the journal, he had written that ‘I have 1,70,000 sons and daughters. And I think about their progress’. I felt thrilled when I read that,” says Pallavi. Praveen Kumar had also got in touch with alumni and formed an alumni association. He roped in successful former students to talk about their lives, the challenges they faced, and their career paths. Students of the Society now refer to themselves collectively as Swaeroes, a word formed by combining the acronyms of the institution and the Latin word “aero” which means flight. “A former Swaero talked to us on Mana TV. He is now in the US and is a millionaire. Just imagine that! He came from a poor family like me and studied in the same school, but now he is a millionaire!” In cultural programmes conducted by the Society, Pallavi listened to alumni speak, anchor programmes, and conduct talks. “So many Swaeroes had become doctors, lawyers, engineers, pilots … It gave us a lot of hope and confidence,” she says. To scale up the Society’s extra-curricular activities, Praveen Kumar revived science fairs, which the Society had stopped conducting in the Nineties. The Society also started district-level literary competitions, debates and quizzes for its students. “I attended both the science fairs that have been held. Last year, I won first prize for a presentation on magnetism. This academic year, my team won second prize in the robotic competition,” Pallavi says. With the help of an engineering student who taught them how to assemble the robot and programme it, Pallavi and her friends constructed a robot that could pick up objects from a line and place them at a designated spot. “We took two weeks to do it. We worked throughout the night, often skipping meals. It was exciting. A year ago, I would never have believed that I would be able to do something like this,” she says. Just as the top-down reforms have radically changed the school’s functioning, Pallavi says the last two years have transformed her as a person. “The children in private schools have so many advantages over us. They are exposed to new information almost every minute. But now I no longer feel that we are backward,” she says. It was not the first time she had spoken before a large gathering. A month earlier, Pallavi had been chosen to attend a mock Parliament organised by the Society. Students from several districts participated and she was assigned the role of the Women and Child Welfare Development minister. Just as in a real Parliament, most Bills tabled and discussed were not passed. The Bill she tabled was one of the exceptions. Ironically, it reserved 33 per cent of seats in Parliament for women, a Bill the government has been unable to pass in Parliament so far. Her speech, where she spoke about the growing atrocities against women, was warmly received by all, even the males. She attacked controversial godman Swami Nithyananda, who has been accused of sexually assaulting or harassing women. “Some teachers told me not to mention it because it might be too controversial. I agreed but when I was there at the parliament and started speaking, I changed my mind. I couldn’t help it. I felt it was too important an issue. And when I had finished, the whole hall filled with applause. I felt like I was on the top of the world,” she says. It is a feeling Pallavi cherishes: a feeling she identifies with achievement, of standing out from the crowd. In November, the Society started a programme by which students can teach and earn money. The brightest 50 students selected through a test will give live lectures on Mana TV. They will field questions from student viewers who will phone in their doubts. Each student gets `1,000 for the lecture. At the end of the year, the student who gave the best lecture will win a `25,000 cash prize. Pallavi was chosen to make the first lecture. The lecture went without a glitch and the appreciation was tremendous. It has left her hungry for more. t the APWREIS school for boys in Shaikpet, Hyderabad, an e-club is in progress. The day’s classes have ended and some of the 25-odd students have had the time to nip back to the hostels and change into casual wear. The theme is scribbled on the blackboard in front of the class: “India is the happiest place to live in the world”. Students walk to the front and speak against or in support of the proposition. Some boys speak confidently, oblivious of grammatical errors. Others require a prod or push from the English teacher who sits silently at the back of the class, otherwise absent from the proceedings. The speakers often get stuck for a word or phrase, but march bravely on. Their classmates encourage the speakers, listening carefully and breaking into applause as they finish. Wittgenstein famously said “The limits of my language mean the limits of my world”. Here these boys are battling the boundaries of both. Earlier outside class, he had told me that he wanted to be a filmmaker when he grew up. After passing out of school, Chandrakant plans to study filmmaking in Chennai. He says he wants to make films about rural India, especially the endemic poverty that successive governments have not managed or cared to displace. Chandrakant says he was inspired to follow his passion after hearing an alumnus speak. “The inauguration of the Swaeroes alumni group took place in our school. A former Swaero who is a software engineer now, spoke to us about pursuing his dreams. He earns `25 lakh a year now. But he told us not to blindly join engineering or medicine like everyone but to go where our interest leads us. I want to do something different,” he says. He is not the only one. While many want to be engineers, some have different ideas. Interacting with Kalam has made some students aspire for a career in science. “Kalam said very few Indians do a Ph. D. He is a first-generation learner like us. That someone like him who even worked as a paper boy could become so great gives us all hope,” another student says. Thomas Reddy, the English teacher, says that there have been extraordinary levels of change in the confidence of the students from when the e-clubs first began. “At first none of them would talk. What we see now is actually quite remarkable. A student gives a small talk in English every day in front of the Assembly. Now we don’t need to push them. When they see their classmates speak in English in front of the whole school, they feel they too can do it. Many students come to us and ask whether they can speak the next day,” he says. Reddy, who taught in an APWREIS school in Medak previously, joined the Shaikpet school last year. He was one of the teachers who received training from EFLU. After that, he has been involved in training the Society’s teachers in English language and communication. “Most students here come from backward districts like Mahbubnagar, Nalgonda and Medak. Because their parents are uneducated, there is often a lack of motivation to study. Many students don’t return in time when classes start and the parents don’t push them to. Most of all they lack a role model in their immediate context. Even if there is one educated person within the larger family, we have observed that it makes a difference. But the new reforms have created a competitive environment that is helping the students develop confidence. We have never had these kinds of programmes before in the Society. Now there are science fairs, debates, quizzes and various sports competitions on a regular basis,” Reddy says. He says Praveen Kumar’s move to leverage alumni and their success stories have played a big part in helping students build a strong sense of self. The society’s monthly magazine routinely carries interviews with former students and the notebooks issued by the Society carries their pictures on the back covers. It is not only the attitude of students but also the mindset of the teachers that have changed, says Mazharuddin Ahmed, who is principal of the Shaikpet school. Ahmed, who joined the society in 1984 as a teacher, stays on the campus with his family. He says the entire focus of the Society has undergone radical changes under the new system. “Earlier, the focus was purely result-oriented. The aim was only to provide the government with pass figures. Now we are concentrating on teaching the students the subject. There is an emphasis on conceptual learning,” Ahmed says. This academic year, the Society has completely banned the use of guides in all its institutes. Innovative methods of teaching, combined with the use of technology, have helped steer the change. Teachers now have to submit weekly lesson plans to Ahmed, who reviews and okays them. Ahmed says that he asks his teachers to deal with each topic in a different way so that students don’t switch off. Using videos and slide presentations regularly in science classes allows students to visualise abstract concepts and makes it easier to memorise them. The Society has handed out mobile phones to teachers for their use. These handsets are preloaded with multi-media content relating to their particular subjects, which they are to use in classrooms. At the middle school level, teachers are replacing instruction with activity. Fifth and sixth standard students are asked to turn in paintings illustrating what they have learned in class. It gives the students a chance to let their imagination run wild and enables learning at the same time. Whenever possible, teachers try and move the lesson out of the classroom. A mathematics teacher taking a class on integers for example, might ask the children to stand in a row and imagine that they are different integers on a number line. They can then learn the laws of addition and subtraction by changing places on the line. A child who learns the concepts in such a way is unlikely to forget them. The one big disappointment for Praveen Kumar is that not enough students qualified for medicine or got into the top engineering colleges. Several schools, including the ones at Shaikpet and Mahendragiri, were designated as special centres for entrance coaching. All the students get special coaching. They are administered an entrance model test every week and the graded papers are given back the following week. Last summer, a 45-day coaching camp was held for 1,500 selected students. While some students did exceedingly well in the 2012 entrance (18 got into IITs and 22 passed the AIEEE), the performance was not uniform. There are two big achievements that Kumar hopes to see this year. One is a successful summer camp that will get far more of his students into good engineering and medical colleges. The other is to see six of his students plant the society’s flag on the peak of Mount Everest. He is confident that both these dreams will come to pass. 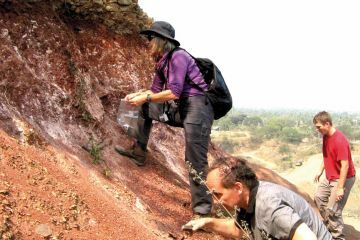 Scientists working in the Deccan Traps have found strong new evidence for volcanism rather than a meteor strike as the dinosaur killer. A professional league with televised matches has made stars out of players and is fashioning the new age of kabaddi.